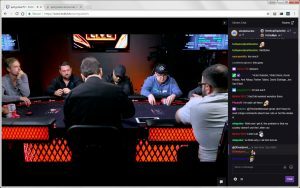 First time playing no limit hold’em cash games live? So, you’re ready to head out to a casino to play No Limit Texas Hold’em live for the first time. You’re excited and anxious at the same time. You have practiced, feel confident that you understand the basics of the game, and want to test your skills. You’re looking forward to playing no limit live for the first time – and – you hope it doesn’t show. Here’s a few tips to keep you focused. Like the How to Play No Limit Texas Hold’em: The Basics series, these tips are about the mechanics of the game. 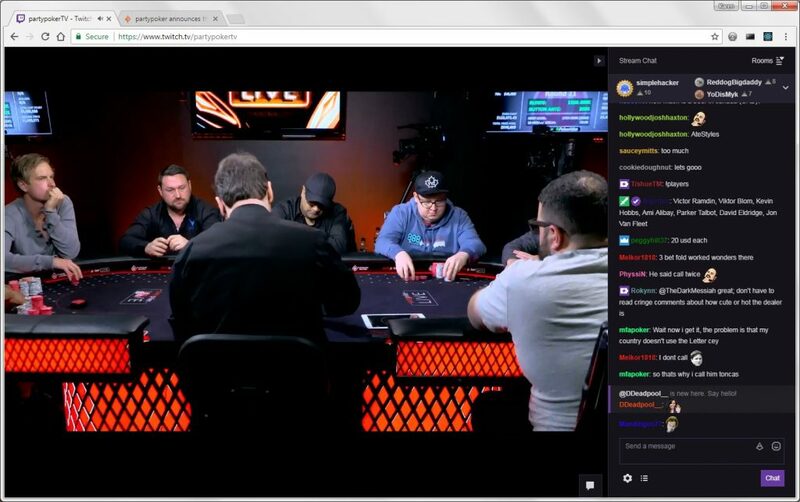 They are intended to make you feel more comfortable when sitting down at a no limit table for the first time – so you can free your brain to focus on the play. When you join a table already in progress, the dealer will ask you whether you want to begin playing immediately or wait until the Big Blind. I usually wait until the Big Blind so that I can observe the players at the table. If you begin right away, there is an extra Big Blind in that hand – yours and that of the “real” Big Blind. When it is your turn to put chips in the pot, count the chips, then place them in front of you. The dealer will sweep them into the pot when he/she is ready. Place the chips over the line on the table. There may not be an actual line drawn on the table; there may be a demarcation in the table design or an imaginary line. The imaginary line is about 6″ – 8″ in front of you. A friendly dealer will reach over and move your chips to the correct area if you didn’t quite make it. Watch for this so that you can be prepared the next time. When betting, count the chips and move them in front of you in one action. It is against the rules to move chips in, then go back to your stack for more chips. That type of action is called “string betting” and is not allowed. Do not ever reach into the pot or touch anyone else’s chips. If you need change, the dealer will make it after sweeping the chips into the pot. So, if you are in the Big Blind and need to put in $2 in chips and you only have $5 denominations, put a $5 chip in front of you, and the dealer will give you three $1 chips after the blinds are swept into the pot. Your stack of chips must be on the table visible to all players at all times. If you have so many chips that you are stacking in rows, the largest valued chips need to be on top or in the front of the stack. Do not pick up your chips or place them in your lap or pocket. Occasionally, you’ll see a player doing tricks with one or a handful of chips. This is acceptable as long as the chips are visible at all times. Stack your chips neatly so that they can be quickly counted. Remember to not look at your hole cards before it is your turn. Okay, so I know that you can’t resist the temptation. If you must look at your cards before your turn, always cap them with a chip or your favorite token until it is your turn. Doing the same thing every time after seeing your hole cards, gives opponents little information. The tendency of novices is to look before it is their turn, cap the hands that they are going to play and do something different with the hole cards they are going to muck – broadcasting their intentions. Do not give the other players at the table any inclination of the action you might take. When you raise, if you verbally announce the amount, make sure to clearly state your intention. There is a difference between “raise $12” and “raise to $12″. If you “raise $12”, you must put in any amount already due, say a Big Blind of $2, plus an additional $12 for a total of $14. If you raise to $12, then you put in the Big Blind of $2 and an additional amount of $10 for a total of $12. Properly stating your intention can save you $2. If you’ve got the mechanics down, read How to Crush Live $1/$2 No-Limit Hold’em by Daniel Skolovy. He has great advice for keeping beginner no limit players out of trouble during live sessions. Today I posted a tutorial on How to Play No Limit Texas Hold’em. The tutorial is intended for true novices of the game. I broke a round of play into 9 chapters. Enjoy! This morning I posted a Glossary of No Limit Texas Hold’em Terms. I’ve been working on it for a while. Everytime I think it is a comprehensive list of No Limit Hold’em terms, I run across a term I have not included. I hadn’t realized that in playing No Limit Hold’em, you have to learn a new language. I will continue to update and refine the Glossary as time permits. Okay, this post is for venting about online poker pet peeves. There are just some things that tick me off. When you are playing cash games at “fast” tables and some uber player is playing too many tables. There is no definitive number for “too many”. In my mind, too many tables is defined as: you cannot respond within the 8 seconds (PokerStars time limit) and you consistently keep the table waiting. Play goes along at a nice quick pace, and then we wait, and wait, and wait – and we are always waiting for the same player. Next round…goes along great, and we wait, wait, and wait some more. If you are a multi-table poker player, play the number of tables that you can respond to within the allotted time. Thanks. What’s your online poker pet peeve? Add your pet peeve in the comments below. After my real-life poker lesson at Mohegan Sun, I realized that I was playing tournament style poker at the local casinos’ cash games. Not a winning strategy. When I started playing cash games, I only played tournaments. I played tournaments because I liked the rush of the blinds closing in and forcing action, and because the live games that I played locally were charity NL Texas Hold’em tournaments, so, it was good training. How do you learn to play cash games? For me, immersion is the best way to learn and I believe that practice makes perfect, so, I started playing the $1/$2 NL Hold’em games on PokerStars. A couple of those games, and I backed off to the .50/$1 cash games. That seemed to work better for me. I had great wins and great losses. I keep a spreadsheet of every cash hand I play – Stack prior to the hand, my position, hand, action, gain/loss for the hand. At the end of the day, I enter the net gain or loss into a chart that gives me a pictorial of daily activity so that I can watch the rise and fall of the line (my bank) from day to day. Right now, that chart looks like the Dow Jones. A couple of sharp spikes up and down, then a plunge. This is a section of the grid from 8 days of playing cash games. Ouch! When my bank got down to an uncomfortable level, I backed off to the .25/.50 cash games on PokerStars. My strategy was to reduce my losses while slowly building my bank so that I could return to the higher level games. I had mild success, most memorable–> I doubled-up and won a $35.05 pot holding Kc Kd against a player holding Big Slick (As Ks). Flop was Kh Qh 2s, turn was 9d, and the river was 3s. Bad beat for that player…nice win for me. Hands like that were few and far between, and, after a while, the .25/.50 cash games weren’t working for me. The players at this level tended to be more interested in not losing chips than playing NL Texas Hold’em. It is hard to improve your game when everyone folds to a bet unless they have the nuts on the flop… and when they don’t fold…you tend to fold at a bet on the turn or the river unless you’ve got the nuts…because that is the ‘tone’ of the table. I wanted to build my bank faster, so, I started playing the Double or Nothing Tournaments. But.. that’s a post for another day! In an earlier post, I talked about the play at the first table I played at Mohegan Sun on a recent trip to Connecticut. The good news is that the cards beat me and not my play. The bad news is that I would have liked to play longer. After walking around a while and meeting up with my friend and playing the slot machines, I went back to the Poker Room. They were starting up a new $1/$2 table. I bought $100 in chips and took seat 4. I played for about an hour. Won a few decent pots, rarely seeing the river. I took advantage of the tight play once or twice and bet on all-out bluffs-and-won those too. Got beat good a couple of times too on the river! No sound reason for that call. After losing the hand and leaving the table, I was on tilt. So angry at myself for such a stupid call. I kept asking myself “What were you thinking?” I wasn’t going to let myself off the hook. I re-played it and re-played over and over. Here’s what surfaced–>My thoughts at the time were “Well, I’m going to have to go all in sooner or later in order to be able to stay and play.” <– Hummmm. Tournament thinking, not cash game thinking. I was measuring my $35.00 against my initial buy of $100. Why had I done that? Because all I play online are No Limit Texas Hold’em Tournaments and Sit-n-Gos. Always tournament play. How did I change that? Started playing No Limit Texas Hold’em cash games online. And my success with that? Well, that’s another post. Come back for that one on another day. You’ll be entertained, I promise. There must be a name for that, but, I don’t know what it is. I mean I know full house but the order in which the cards fell matching with the player’s hand. Anyone know what is happening at PokerStars? Play on non-money games, ring games, etc. are being temporarily suspended. I heard that registering for money games is very slow, but that once the games start, play (response time) is adequate. This has been happening all week. Obviously, they are having capacity problems… but why now? Are they upgrading? Moving operations? Have their systems been attacked? hijacked? Sure would like to know what the heck is going on.